Дизайнери: CCD / Cheng Chung Design Ltd. The interior design is dominated by regional Hakka motifs, Asian-inspired decor and modern Western Art Deco touches. 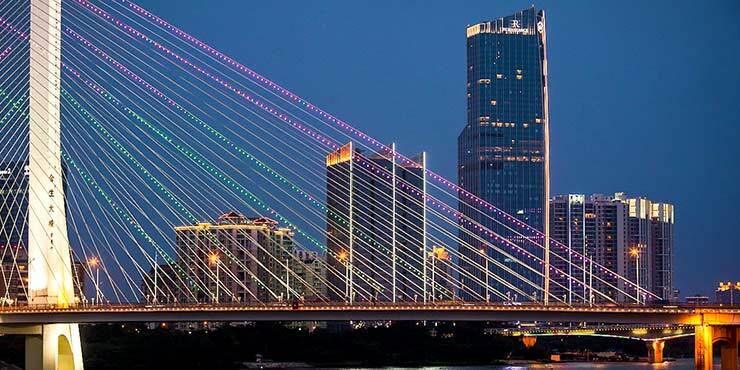 This luxury hotel in Huizhou city centre is integrated into an office and shopping complex and offers spectacular views of the East River and West Lake. The interior design combines modern style with authentic Chinese decor. Using state-of-the-art technology and attractive shapes, GROHE Allure and GROHE Lineare fittings for basins, showers and baths complete the sophisticated ambience in the bathrooms. In the showers, GROHE Rainshower® Eco hand showers provide a sensual shower experience and, by using integrated GROHE water-saving technology, they also make particularly sustainable use of our valuable water resources.